WhatsApp, one of the most popular social messaging tools, is used almost daily by people who like it. Under its delivery, there is no any problem to have voice calls, send video calls and even share location. Your pictures, messages and documents can also be sent instantly. As you can imagine, WhatsApp carries lots of important and private messages on your iPhone. To avoid losing device one day, it's strongly advisable to download WhatsApp messages from iPhone ahead of time, which consequently offers possible for later view and usage. What's convenient enough, WhatsApp is well developed to send your ticked WhatsApp conversation to your personal email or share it to whoever you want. However, most troubling of all, you have to spend much time emailing all WhatsApp data one by one considering it is limited to send conversation from one group or one contact each time. Step 6: Access email account on your computer and download the shared WhatsApp messages. 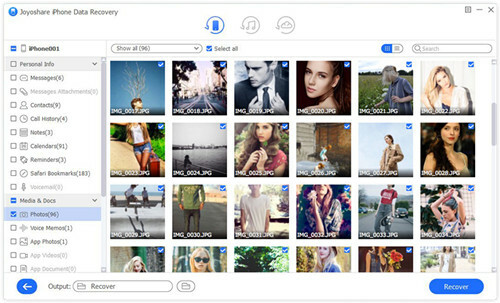 Joyoshare iPhone Data Recovery for Windows (or Joyoshare iPhone Data Recovery for Mac) is an outstanding WhatsApp message downloader that can be adopted to retrieve and download your precious WhatsApp messages in a selective manner. You can also apply it to fully export the entire data files from WhatsApp at a time. Apart from WhatsApp messages on iPhone, this excellent tool also functions to access and extract data from previous created iTunes or iCloud backups. Data types can be recoverable are photos, videos, Safari bookmarks, contacts, call history, notes, voicemails, Kik/Viber messages, etc. in total of 20 kinds. Best of all, its real-time preview feature as well enables you to view specific items one after another in the way you like. 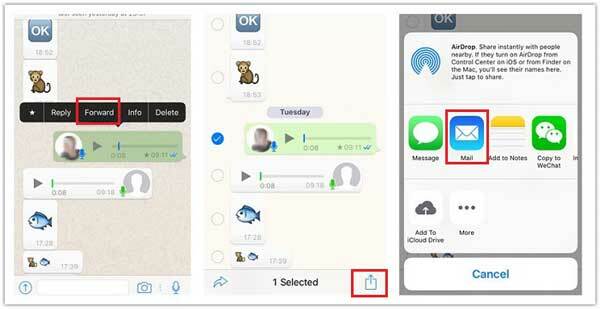 Next you can get started to make use of Joyoshare iPhone Data Recovery to download your WhatsApp messages and its attachments to your computer's local folder. You can alternatively get to know how to recover WhatsApp messages online if necessary. 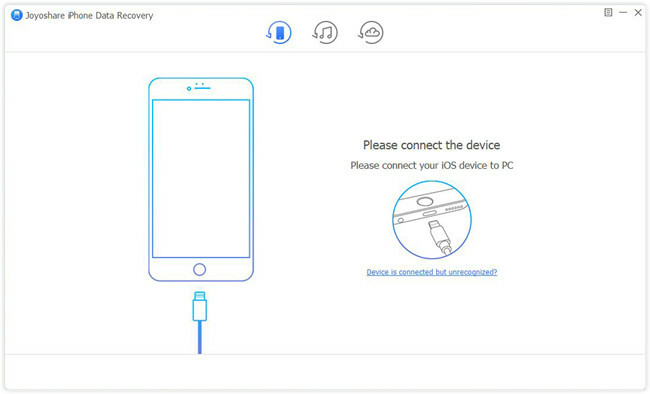 Launch Joyoshare iPhone Data Recovery and connect iPhone to computer under "Recover from iDevice" mode using an original USB cable. Notably, whoever firstly connects iPhone has to "Trust" computer. After detection and recognition, Joyoshare will display both device info and recoverable data types for your references. You can choose "WhatsApp & Attachments" only or have no change with all files checked by default. Then simply click on "Scan" button. Shortly after, Joyoshare will classify and show all scanned results in different folders. Utilize "Only show the deleted" or "Only show the existing" to filter out useless data. You can also preview your WhatsApp items one by one and only choose desired files. Continue to press "Recover" to download and output them to your computer. 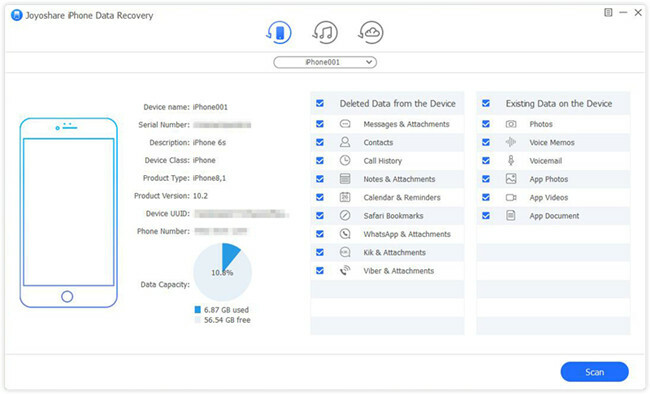 Note: Joyoshare iPhone Data Recovery also performs as a reliable iCloud and iTunes backup extrator to fetch and restore WhatsApp messages and more files in high efficiency without damaging or overwriting your current data. To do this, you just have to switch the recovery mode to "Recover from iTunes" or "Recover from iCloud" on its top menu bar. Recover iMessages on iPhone? Solved!